Organizing and Preparing for Thanksgiving! In 5 ½ weeks the wonderful Holiday of Thanksgiving will be upon us. I don’t know about you but it is a very favorite Holiday of mine. The gathering of family and friends around the dinner table is my favorite. 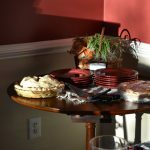 Thanksgiving has been at my home for the past number of years. I usually get the turkey in the oven early morning and then begin preparing the other foods such as sweet potatoes, white potatoes, carrots and all the appetizers. When everyone arrives, they seem to huddle in the kitchen around my island. That’s probably because the appetizers are there and I’m still cooking. My kitchen in my current home is not as big as my prior and it can be tricky navigating the meal prep around all my guests. But I don’t care. I love to entertain and love preparing a meal. Five weeks may seem like a long way away. But before you know it, Thanksgiving will be upon us and now is a great time to begin preparing. Doing a little each week will ease the chores and perhaps not feel as overwhelming. You won’t be rushing to do last minute tasks to ensure your Thanksgiving is a success. Be sure the dining room or area where you are eating is neat, tidy and de-cluttered. Make up your guest list. Send out the invitations or make the calls to invite your family and friends. Bring out the Thanksgiving decorations. Make up your grocery list. 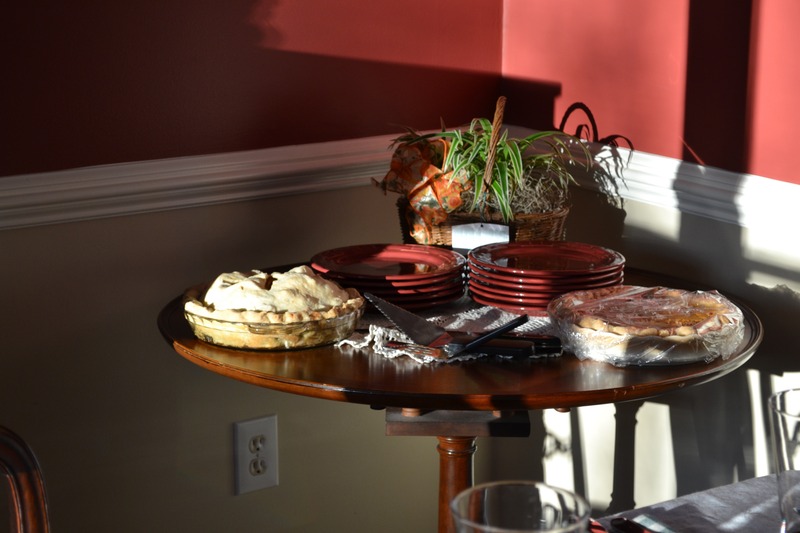 If guests are bringing a dish, let them know what you would like them to bring. Having guests stay over? Be sure your guest room is neat, tidy and de-cluttered and stocked with necessary items. Go to the grocery store for items that aren’t necessarily fresh or items that can last the week. Be sure all your linens are clean and ironed. Take out china, silver and crystal if you have special Holiday dishes. Be sure they are clean. Pick up wine or any alcoholic beverages you want to serve. Make extra ice and store in Ziploc bags to be sure you have enough. Good time to make place cards for your table. Pick up last minute food items. Write down your whole menu somewhere that it is visible so you don’t leave items prepared a head of time in the refrigerator day of Thanksgiving. Make refrigerated items such as cranberry relish or covered dishes. Pull out your serving dishes and utensils. Be sure your craving knife is sharpened. Cut up ingredients for stuffing and store in airtight container in refrigerator. Pick up Turkey and be sure to get those items you forgot from last two grocery trips. If you do not have a fresh turkey, be sure to allow enough time for defrosting. Get up and spend some quiet time with a cup of coffee or tea. Put the turkey in oven at appropriate time giving enough time for baking and letting sit out of the oven for a few minutes. While turkey is roasting, make side dishes. While turkey is sitting out of the oven, make gravy. While everyone is eating, slowly warm the pies. Most important … ENJOY your Thanksgiving and spend some time giving thanks for all the wonderful things in your life, your home, your career and your family.